For one the biggest days of your life, know that you are in excellent hands at Lagan Valley Island. 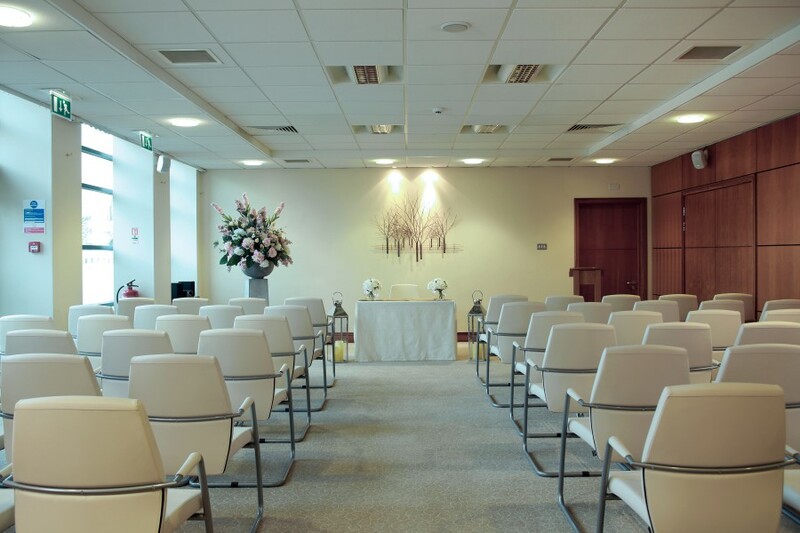 Your civil ceremony will be held in the splendour of the Cherry Room. Relax in a private adjoining room before taking those first steps towards your life together. Afterwards enjoy refreshments on the beautiful rooftop terrace overlooking the River Lagan. If you have a more intimate ceremony or a large celebration, we have a choice of other rooms available for civil ceremonies depending on the number of guests. Check out the table below for the rooms available. Find out more about arranging your civil ceremony. The rate for civil ceremonies is in addition to the Marriage Licence Fee applied by Registration. All rooms used for Wedding Ceremonies are exempt from VAT. A queuing system is in operation. Customers should arrive at least 45 minutes before the stipulated closing times. However registration staff deal with very sensitive issues and waiting times will vary and although every effort will be made to see all waiting customers, there may be occasions when customers will be asked to return at a later time/date.